The rain couldn’t stop the anticipated AFT battle in Atlanta, GA, pushing the remainder of the racing activities back a day at Dixie Speedway on Saturday, April 7th, 2018. 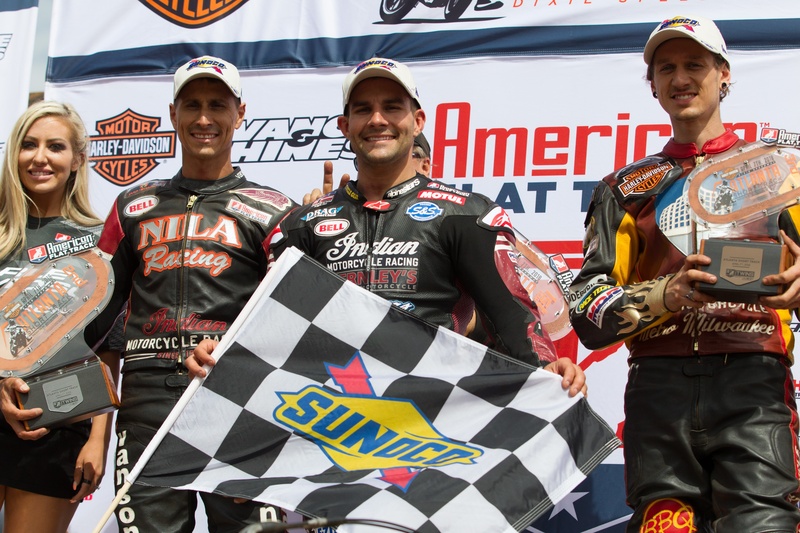 When racing resumed on that Sunday afternoon, it was Jared Mees who came out firing for the win. Mees understood the slick conditions and secured his 32nd career victory in championship fashion. Mees took the lead at the start and was never seriously challenged. 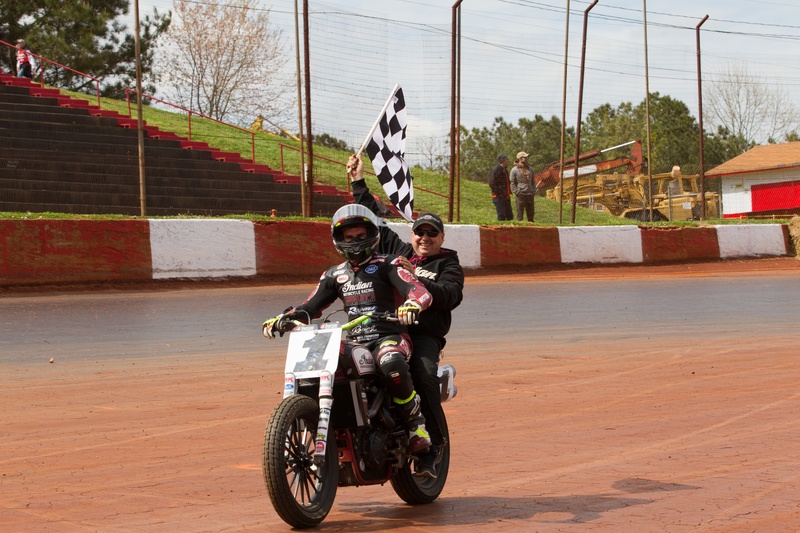 Mees eased up late and still took the checkered flag with nearly two seconds in hand. 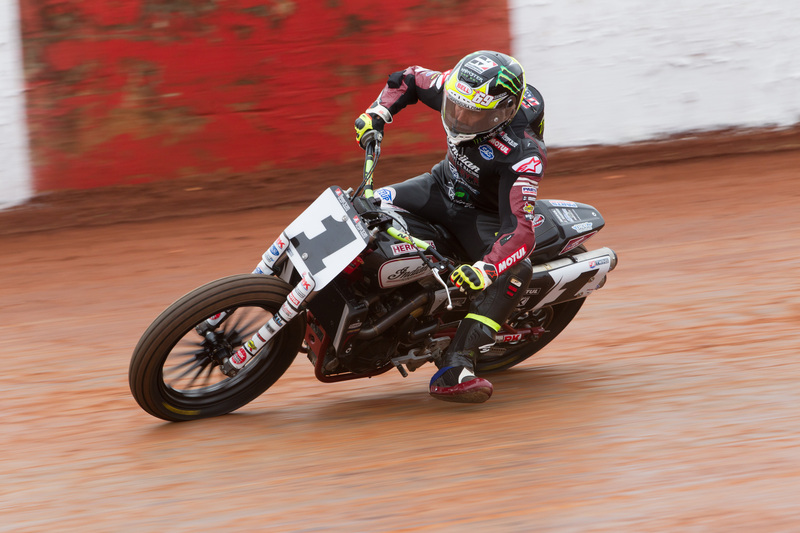 Mees has now opened his championship season with back-to-back victories at the DAYTONA TT and Atlanta Short Track for a second consecutive season. The dogfight between Kenny Coolbeth, Jarod Vanderkooi, and Jeffrey Carver Jr. for the remaining spots on the podium was very exciting to watch. Late in the race Carver worked his way past Coolbeth into the runner-up position, but Coolbeth had an answer for Carver and took 2nd across the finish line. Coolbeth moves into second in the early-season points standings. Having recently announced that this will be his final AFT season, the series legend appears both motivated and capable of going out on a high note as he continues to gain speed aboard his privateer Indian® Scout® FTR750. 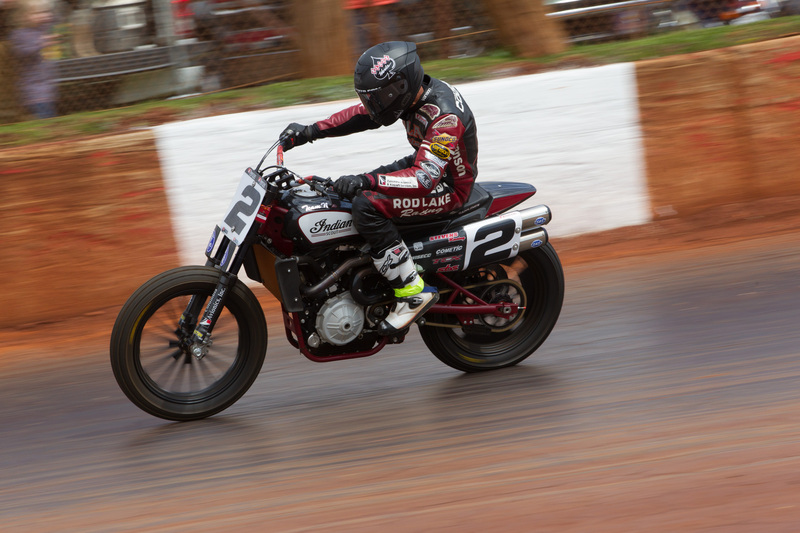 Henry Wiles & Johnny Lewis took 5th and 6th aboard their privateer Scout® FTR750s. The other members of the Indian Wrecking Crew took 7th (Brad Baker) and 8th (Bryan Smith). Jake Johnson and Kayl Kolkman came across the finish in 9th and 10th.